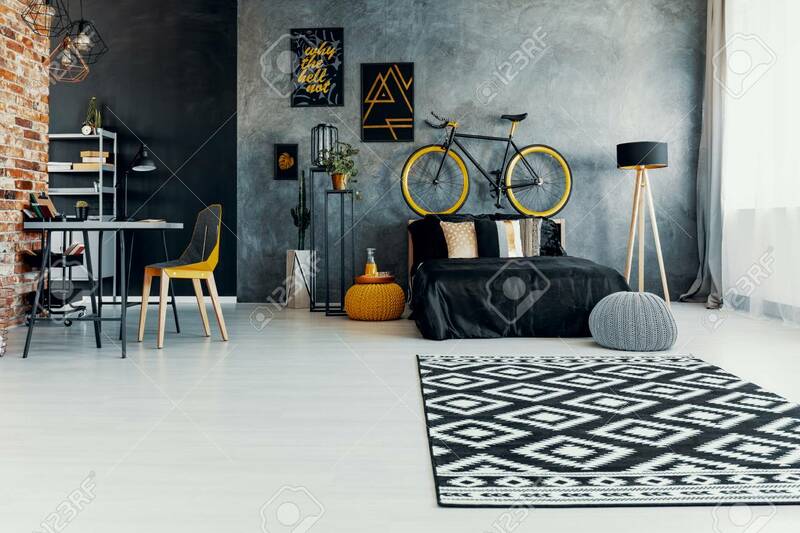 Patterned Carpet And Grey Pouf In Teenager's Bedroom Interior With Posters And Bicycle. Real Photo Banque D'Images Et Photos Libres De Droits. Image 110024897.